I am seeking your financial support to purchase land. The land will consist of 5 to more acres. We will use it as a safe haven for individuals who are being targeted with electronic harassment and organized gang stalking. Electronic harassment is a form of torture that involves the use of micro-wave weapons. These weapons are experimental and there use is highly classified. However, they have been known to cause cancer and disabled a person inability to live a normal life. We have been in contact with the government about this problem, but it has been difficult to get them to stop. 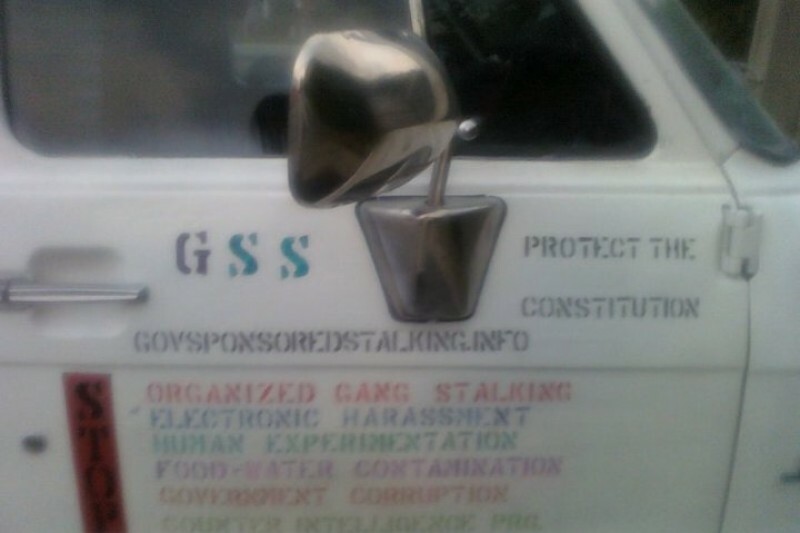 Organized Gang Stalking are individuals who have been contracted by the United States government to carry out these illegal experiments. Their role is basically to assist and enforce instructions that is given to them, which includes gathering and reporting data to their superiors. The land will house a garden and a place for the Targeted Individual to congregate without worrying about some of the harassment that we endure on a daily basis. In the later months, we will use the land to encourage economic independency by encouraging entrepreneurship, which is key to rebuilding our lives. For instance, we plan to sell some of the produce that we grow to the public. And the other idea is raise awareness by making clothes that highlight our position. If you believe in Human Rights and want to give us a chance to be whole again, will you consider a kind financial contribution today? This entry was posted in Fayetteville and tagged chris j. brunson, cointelpro, directed energy, donate, electronic harassment, homeless, organized gang stalking, owning land, poverty, racism by Qolspony. Bookmark the permalink. Thank you Kristin for contacting me. I sent a text message and email. I hope we can work out something. 218 N. Lake Shore Drive, Cadiz, KY 42211. Look it up. It’s under my name. FREE AND CLEAR AS A HAVEN FOR GANGSTALKING VICTIMS TO LIVE, SAFE IN SOME NUMBERS, SO LONG AS I CAN HAVE PROOF I’M NOT BEING HOSED AND DEFRAUDED YET AGAIN!!!!!! I also have copies of emails kept in one of my gangstalker’s facilitator’s files I got a hold of (because they pertained to me) where strangers to me from correctional institutions in states I have never resided in EXPRESSLY stated that.they didn’t need any “track record” as pertaining ME personally in order to begin their set ups. I have a plethora of information, PROOF, and story of COMPLETE AND UTTER INNOCENCE to share with other victims of these CRIMINAL LIFE D3STROYING VIGILANTES POSING AS LEGITIMATE LAW ABIDING CITIZENS. PLS. CONTACT ME. I NEED TO SHARE THIS, ALL OF IT, BEFORE I DO WHAT I HAVE TO DO, WITH ALL I CANNO LONGER TAKE OF WHAT THEY DID TO ME, NOT ONLY 7NABATED, BUT AIDED AND ABETTED BY EVERY 8 STITUTION I SHOULD HAVE HAD A READON TO TRUST AND RELY UPON TO BE THERE FOR ME. I CAN’T TAKE AN6 MORE LOSS OR HEARTBREAK. I NEED OTHERS TO BUILD UPON WHAT I HAVE ALREADY PROVED THAT “OUR” INSTITUTIONS BETRAY US ROUTINELY N5 THEIR APATHY AND BIAS OVER. BTW I think I may also have some very interesting info as to facts and events preceding my own personal hellish nightmare– shoring up theories that gang stalking may be rooted in both government corruption and target’s knowing too much. I have years of recordings PROVING malfeasance. BTW the house is set up for many people to be able to live in it, as there are two levels, with living quarters on both levels, a kitchenette and walk-in closet in the basement level to supplement the main level bedrooms and kitchen. I spared no expense on materials, as this was the first residence I purchased, after realizing unlawful break-ins while trying to rent in peace. I don’t know if auto-“correct” mispelled ” cul de sac” and “hunter’s” but this is the correction ( I know someone wants many others to THINK the worst of me in the most disparaging of ways, and I have all the psychological scars and waste of life to prove it). I have been gang stalked for nearly 2 decades, after coming into some money from my dysfunctional family. I have purchased property for just such a purpose. My emails (ALL of them) have been hacked, there are no private communications where I can be safe from sabotage and exploitation or abuse based upon planning, and I have more reason than not to believe my EVERY keystroke is more than watched and recorded to use in an ongoing war against my lits and efficacy. That said, I am so thoroughly demoralized, what with the complete and utter lack of social parity I have been FORCED to endure, with no justice and no end in sight, that I am willing to donate one of the many properties I have acquired in my VAIN attempts to MERELY live away from the life destroyers and their EVIL addiction to ABUSING me, JUST because I was so easy for them to isolate. This is a waterfront property, perhaps not exactly what you are looking for, but a nice one just the same. It is about 3/4 of an acre on a cup ‘s was in a winter’s and fisherman’s paradise. If interested, please text me at (208) 640-0583. My name is Kristin, and I’m near the end of the rope of human endurance, and have no one to leave anything to, where the government has likely played a part in such a comprehensively EVIL betrayal of life, liberty, and the pursuit of happiness. All info is on my page including my Affidavit and Journal. I have been cheated by other TIs how do we know your Legit and where are you located?